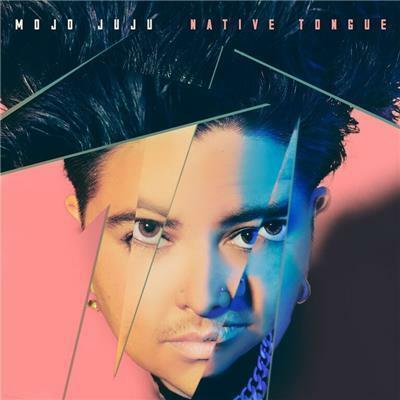 ‘Native Tongue’ is the third studio album from critically acclaimed artist Mojo Juju! Stylistically, Mojo once again embarks on new territory through collaborations with multiple producers - Steven Schram (Paul Kelly), Joelistics (TZU), jnbo (The Cactus Channel) and Jamieson Shaw (Netflix series ‘The Get Down’). The album opens with a guest appearance from ‘The Pasefika Vitoria Choir’ and is followed up by features from Hip Hop MC Mirrah (L-Fresh The Lion), Soul music royalty Joshua Tavares and spoken word artist Lay the Mystic. This time around Juju has taken her eclectic influences and created a seamless and authentically original sound, continuing her dedication to bucking labels, bending genres and doing her own thing. Perhaps the manifold musical incarnations of Juju are symbolic of the manifold pieces that make up her identity. Perhaps this unique blend of Soul, RnB, Blues & Hip Hop is in fact her ‘Native Tongue’. Through the telling of family history and her own personal experiences, Juju explores her relationships with Elders and Ancestry and how that informs her own identity. Contemplating her Mother’s Indigenous heritage, her Father’s experience as a Filipino immigrant and her own place in the cultural landscape of modern Australia, it is an album about self-discovery and it is her most personal offering to date. It is honest, emotional and intrinsically political.